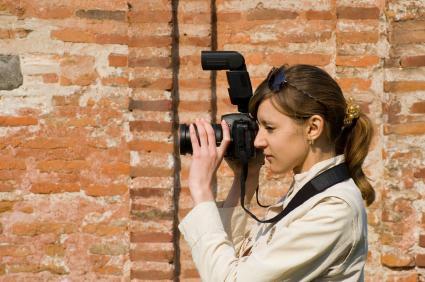 Freelance photographer opportunities don't have to be limited to selling stock photos online. There are many other ways you can make money from your best pictures. Auto photographer--Many newspapers have a weekly supplement or separate paper that feature photos of used cars that are for sale. If you can take good quality, high-resolution photos, this could be the ideal job for you. Sports photographer--Smaller local papers may not have the staff to cover all of their stories. Sports photographers are often in high demand and can make money by selling their photos to local and regional newspapers. Features photographer--Both local newspapers and regional magazines are constantly searching for photographers who enjoy taking feature photos. These photos usually feature individuals that are the subjects of human interest stories, local fairs and festivals. Travel photographer--These photos are always in demand and you may even increase your popularity if you can write the accompanying articles as well. If you live in an area that has popular tourist attractions, start taking photos to sell to local publications and travel agencies. Wedding photographer--For those with an entrepreneurial spirit, becoming a wedding photographer may mean an end to your cash flow problems. Weddings are generally held on weekends leaving your weekdays free to pursue other freelance opportunities. Product photographer--If you live in an area that has companies that produce paper or online catalogs for their products, this type of freelance job will keep you busy. A background in micro stock photography will serve you well in this type of business. While it always helps to have well-placed contacts in photo-related jobs, you may also submit images for editorial consideration to any publication at any time. You can find out what the submission guidelines are for a specific publication either by calling them directly or looking up the information on their website. Editors will specify how they want to receive the photos. They will either want to meet you in person or will request that you send them a digital portfolio. If you meet the editor in person, you will asked to bring in your portfolio and in some cases, photos that you are submitting to go along with planned articles. Some editors do their work online, so they will expect you to send them an enclosure with the photos, as well as links to other photos or galleries that you have created. Look around and see what is available locally before you spend hours searching for freelance photographer opportunities online. Depending on where you live, there could be plenty of lucrative contracts and ongoing projects to keep you busy for months at a time. If you do choose to locate freelance jobs online, be sure to check out potential employers thoroughly before you begin work. This will ensure that your employer is legitimate and that you'll be paid for your work.